This might be the most expensive sneaker ever. There's a new high watermark for ridiculously ostentatious, ridiculously expensive sneakers. 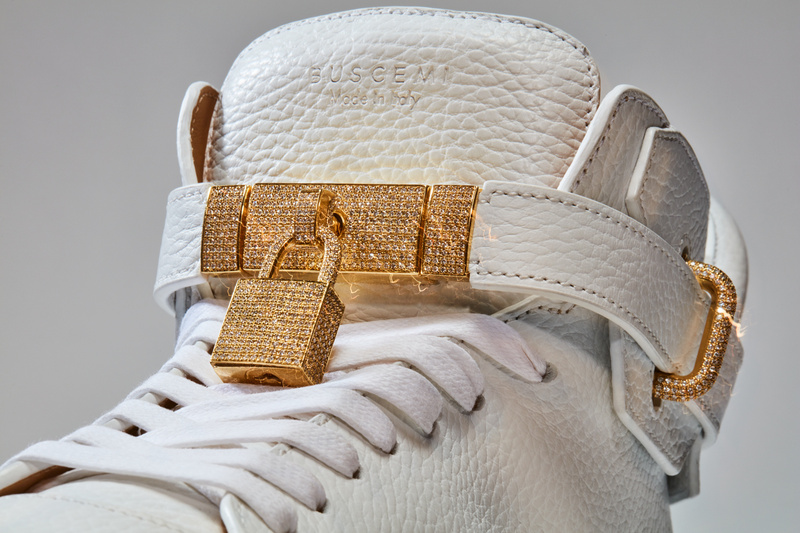 This time around, luxury footwear brand Buscemi is taking its popular 100mm shoe and upgrading it with diamond and gold hardware. According to Hypebeast, the pair pictured is made with 18 karat gold and 11.5 carats worth of diamonds. The shoes are available at Buscemi's SoHo flagship at 47 Wooster St. in New York City. Readers should remember that this isn't the first time a brand has created diamond-encrusted footwear with a giant price tag attached. No doubt the most infamous pair in that category is Allen Iverson's $65,000 pair of Reebok Questions that featured gems from Jacob the Jeweler.